As China prioritizes dealing with the smog that has blanketed Beijing and other big cities, the world’s second-biggest economy is increasingly turning to liquefied natural gas as a replacement for coal for heating and other purposes, boosting imports of the cleaner fuel. Hyundai Heavy Industries Co. expects orders for carriers of the gas to lead demand for new ships, CEO Sam Ka said. Surging demand for LNG in China, as well as in smaller emerging economies, has spurred energy explorers including Royal Dutch Shell and Total SA to focus on investments in gas development projects. 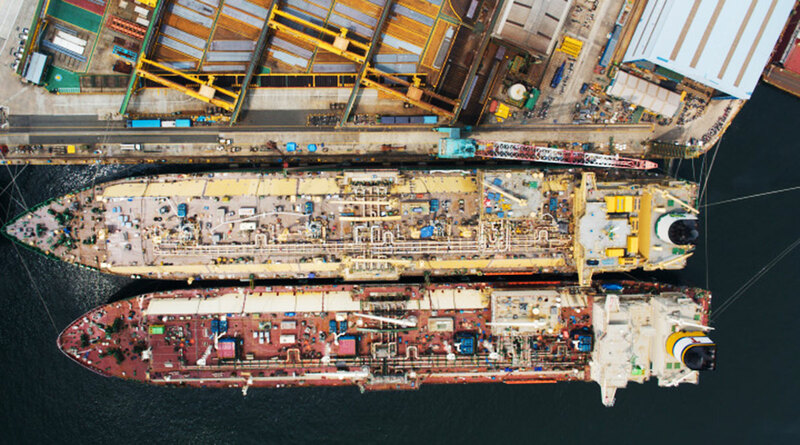 The accompanying demand for carriers to transport the fuel is a bright spot for a shipbuilding industry that has struggled to win orders since crude oil prices slumped in 2014. Qatar plans to order about 60 new LNG carriers, adding to the 50 it owns, according to Energy Minister Saad Sherida Al Kaabi. Shares of Hyundai Heavy rose 0.7% in Seoul to 143,500 won Jan. 29, the highest closing price since March 28. That compares with a 0.3% gain in South Korea’s benchmark Kospi index. Hyundai rivals Daewoo Shipbuilding & Marine Engineering Co. and Samsung Heavy Industries Co. also advanced. Ka expects the rising demand to benefit the world’s top three shipyards, which are based in South Korea. Gas carriers are the most expensive commercial ships and take the longest time to build. Hyundai Heavy, Samsung Heavy Industries Co. and Daewoo Shipbuilding & Marine Engineering Co., together with smaller South Korean shipyards, won 94% of the 80 LNG carriers ordered worldwide last year, according to the country’s Ministry of Trade, Industry and Energy. The companies also accounted for 87% of Very Large Crude Carriers ordered globally. These helped increase their order backlog by 25% last year and will allow them to raise prices for vessels, Ka said Jan. 24. The executive predicted that average prices for ships built by Hyundai Heavy and its rivals could climb 10% this year after a 10% increase in 2018.